Today, reliable geolocation of first responders ends when they enter a building. GPS devices, increasingly common in public safety radios, don’t receive faint satellite signals indoors. And even if available, high-precision altitude and floor determination isn’t possible using GPS-based methods. NextNav’s technology changes that, presenting a dramatic step forward in responder safety and incident management. First, NextNav’s MBS technology is immune to building-specific effects because it’s a wide-area system. An incident that cuts the power in a building, for example, does not affect NextNav’s resilient radio infrastructure that could be many kilometers away. Second, MBS is a managed, wide-area system: it’s operated exclusively as a location network, built specifically to offer geolocation for safety-of-life services across an entire metro area. It’s not limited to specific venues, or any prior knowledge of the structures in the area. Latitude, longitude and altitude aren’t enough, though. If an incident commander or first responder can’t visualize where their personnel are located, making decisions based on their location is extremely difficult. For that reason, NextNav has also created a powerful Context and Visualization service. 3D building models will be made available, and indoor floorplans and other key information can be included where available. This service can be access from smartphone and tablet apps, via a web portal or integrated into existing incident management and CAD software via an available API. First responders are often in harm’s way, and NextNav believes that they deserve the best, most reliable indoor location technology available. In the late 1990s when accuracy-testing standards for wireless E911 were first promulgated, most wireless usage occurred outdoors and most 911 calls were placed from landlines. Today, wireless is an indoor service, and the preponderance of E911 calls are wireless. Partly in response to E911 regulation, GPS has become nearly ubiquitous, enabling accurate outdoor positioning in many environments. However, GPS doesn’t work well indoors, and it doesn’t work well in urban canyons. Consumers are increasingly relying on wireless devices for all of their communications needs, with nearly 50% of households lacking a landline as of December 2016. 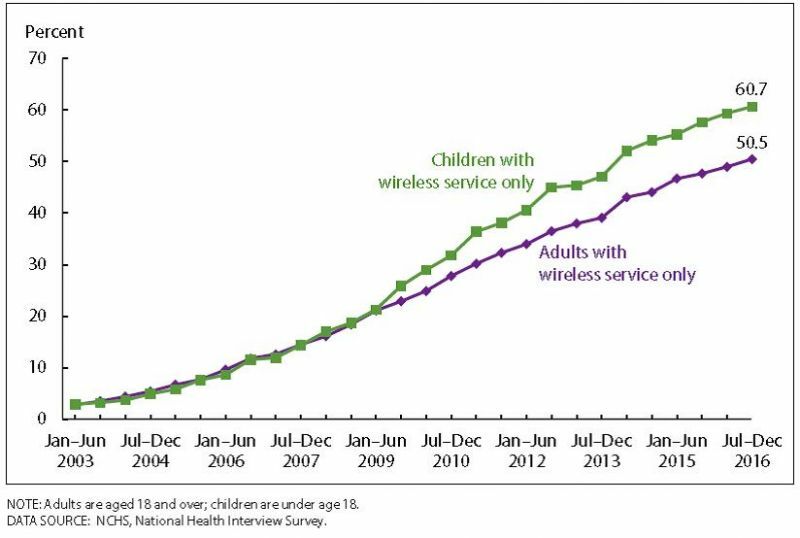 Add to this the important fact that the consumers most likely to drop their landline phone service for wireless-only service are those under the age of 40, and you have a demographically driven and growing indoor/urban gap, creating real public safety problems. The trend is clear and accelerating. Today, over 60% of E911 calls are wireless. Emergency responders to wireless calls from an urban area or indoors are often faced with no or inaccurate routing, and calls completed to the wrong jurisdiction. They may have to search—particularly if speech is impossible due to the nature of the emergency—wasting precious time. Now NextNav offers a carrier-grade solution for indoor and urban location. For devices equipped with NextNav’s technology, when a subscriber calls 911, the first responder won’t be left guessing about where they are. Providing a unique height capability, with vertical precision of up to 1 – 2 meters, first responders can move rapidly to the correct floor to ensure that not a second is wasted in the emergency response process. NextNav’s terrestrially-based system of transmitters is designed to provide pervasive coverage in urban areas and particularly indoors. GPS is often unavailable in these difficult environments, while NextNav’s network is designed to offer 99%+ yield. In addition, NextNav offers an extremely rapid time to first fix of less than 2 seconds. While other systems offer poor accuracy or are unable to even get a signal at all, NextNav’s technology provides position information that can save a life. NextNav’s ability to deliver an accurate height estimate, along with accurate and swiftly-delivered x-y coordinates, allows first responders more rapid access to subjects on upper floors of multi-story structures. Apartment buildings, malls and offices present a daunting challenge when height isn’t known, even in suburban areas. NextNav’s technology enables the delivery of height to PSAPs prepared to accept this piece of information. To complement GPS and A-GPS where those technologies don’t work well, NextNav is deploying a nationwide network providing accurate location across entire metropolitan areas. We own, manage and operate every element of the network, on our own licensed spectrum, to exclusively provide location services. That means we can architect our network for location, not communications, and wireless carriers don’t need to make expensive infrastructure investments. NextNav’s transmission is encrypted, secure and is available for carriers as a standalone service for E911 only. A carrier can implement the NextNav solution to enhance location performance of the E911 system separate from any decision to use NextNav capabilities as part of their commercial location-based services.